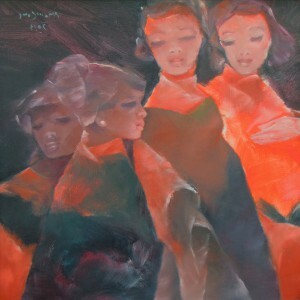 Throughout ages, the enigma of the night has always drawn the attention of artists. 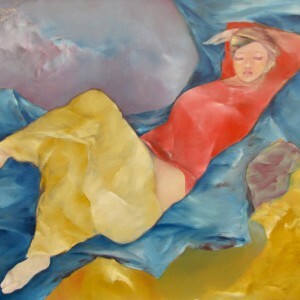 Its quietness is conducive to self-reflection, analysis and creativity. 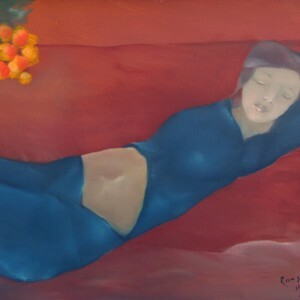 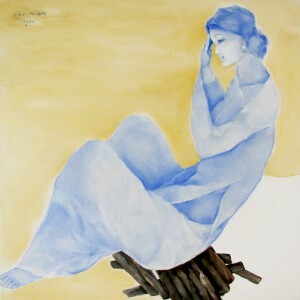 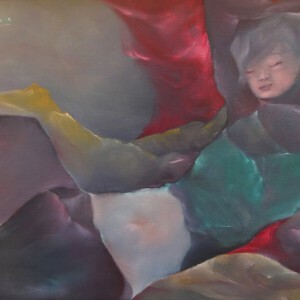 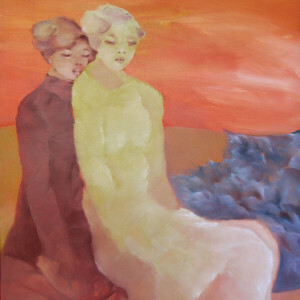 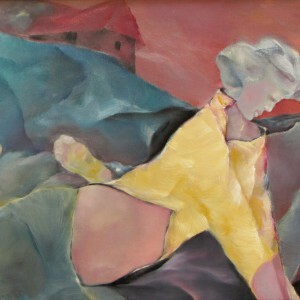 Asian artist Pham Cung captures this lady in a contemplative mood in the featured canvas. 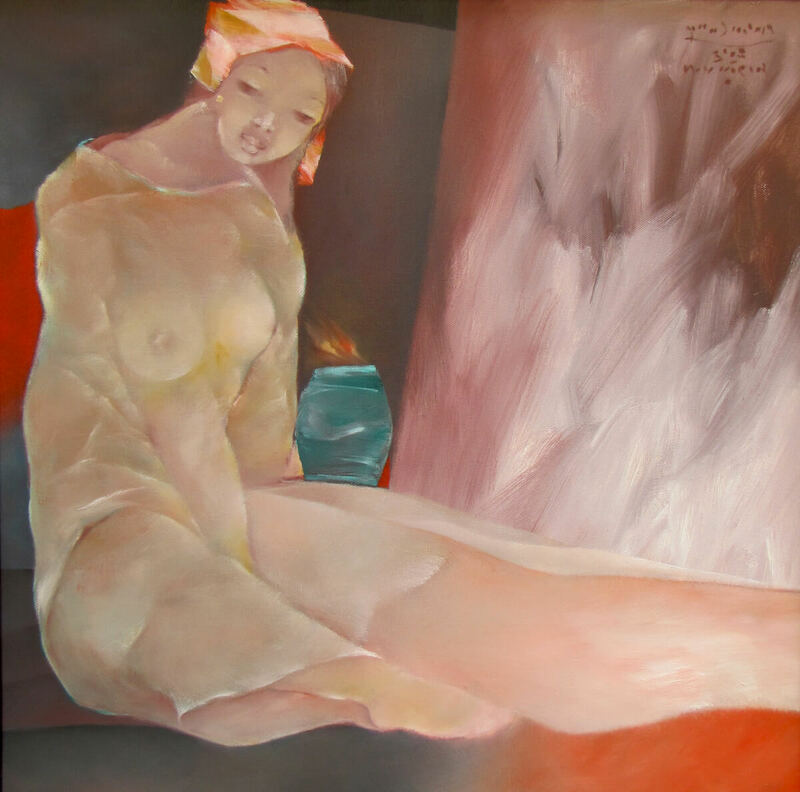 This mood is heightened by the delicate whitening of the edges of the forms that gives a luminescent effect to the piece.